Earlier this year Monster Hunter: World hit the PS4 and Xbox One to mass acclaim from critics and fans alike, becoming the highest selling game in Capcom's 40+ year run in the games industry. A PC version was promised from the start, but it didn't materialize into something you could actually play until today. 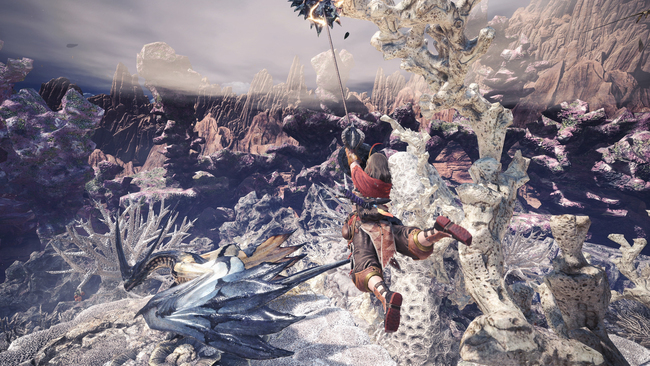 We reviewed Monster Hunter: World back when the console version launched, all of the game's various systems and gameplay mechanics are already broken down there so it's advised to read that review first. For the PC focused review, we are just looking at the quality of the PC port, so let's take a look at what's under the hood. 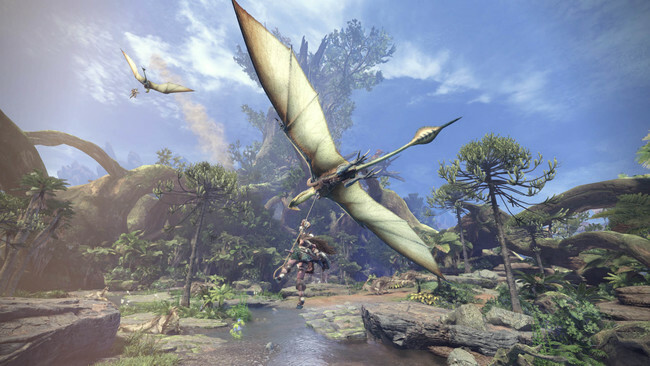 Monster Hunter: World obviously began as a console game, but the PC port requires a bit steeper system requirements than what you would expect. For our playthrough, Our system sported a Nivdia GTX 1080, 16GB of memory, and an Intel Core i7-4790 processor. If you're just looking for a bump up from console fidelity and performance running the game at 1080p + 60FPS shouldn't be a problem. Jumping up to 1440p, the framerate still maintained a solid 60 even during intense battles. At 4k however, performance was not as consistent. The game struggles to maintain 60FPS at 4k, especially in large open areas with a lot of flora and fauna moving about. The PC version does sport some visual bells and whistles that the console versions lack, but it's not enough of a jump that a GTX 1080 should struggle to hit 60FPS at 4k. 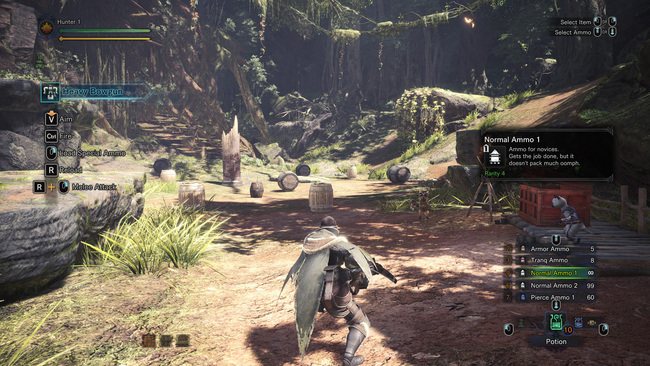 There have been some concerns about the stability of Monster Hunter: World leading up to the release, as there have been reports of the game crashing during extended play sessions. Over the 30 hours I plugged into the game, I only experienced 3 crashes during that entire time. It's an annoying issue, especially if you're in the middle of a mission and the game crashes, resetting some of your progress when you load in again. Thankfully Capcom has stated that the crashing issues are going to get ironed out with a patch that'll be available on launch day. While the PC port does look a step above the console versions, most of the improvements come from the ability to crank up the arthroscopic filtering and anti-aliasing to make the presentation much sharper than before. Of course, the biggest improvement comes from the increased framerate. In my eyes, action-heavy games that require quick reflexes should always be at 60FPS, mostly to improve the fluidity of the controls. It feels fantastic darting between the legs of giant monsters with a buttery smooth framerate. The somewhat aging MT Framework engine still manages to wow at times, especially with the detailed animation work on the monsters as they leap and tumble about during combat. The keyboard and mouse implementation works well enough to play with, or at least better than I was expecting. WASD moves your character about while combat actions and camera movement is bound to the mouse. It's perfectly playable if this way if that's the control scheme you opt for. Though it takes some getting used to, especially with all the actions mapped to a keyboard. That all said, the game was obviously designed with a controller in mind. If you have a gamepad, then you absolutely should use it over the mouse and keyboard. The tougher monster battles get to be a little too much without a controller, and the analog sticks give you tighter precision while maneuvering and dodging. Aside from the improved visuals, graphical options, improved framerate, and the additional control options, there is no extra content in the PC version. The PC version will also be a bit behind on content updates, as the PC version will not ship with the Final Fantasy XIV Behemoth collaborative event. 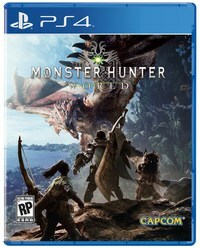 That content will come to the PC at a later date, but Capcom has stated the PC version's content updates will not necessarily be in parity with the console versions. While it's a bit of a bummer that the PC version gets no extra content(especially since this port is coming out 6 months after the console release), it's not a huge deal either. Monster Hunter: World is absolutely brimming with content that'll keep you busy for hundreds of hours if you stick with it.